Nearly a century before the Pilgrims landed at Plymouth Rock, Spanish conquistadors in Mexico sent word to their king of an amazing “Cabo” (Cape) jutting into the Pacific Ocean. This beautiful land was full of rare flowers, hundreds of bird species, and of even greater interest, a sea laden with pearls. Here, flowering desert, the towering Sierra de la Laguna mountain range, and lush foliage come together in the tropical zone of what is now Baja California Sur (South), 700 miles south of the U.S. border. The Spanish conquistadors named this region “Bahia de las Palmas” (Bay of the Palms) for its tranquil waters and lush surroundings. 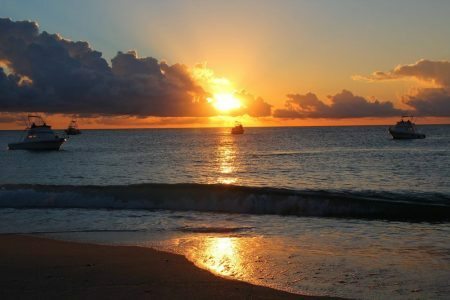 Modern day explorers are drawn to three resort hotels that offer you a tropical fishing adventure beyond compare. 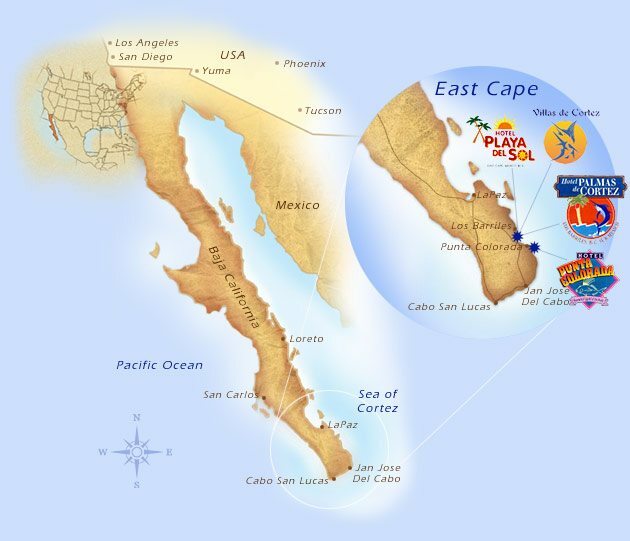 The Bay of the Palms is at the very heart of the world’s highest catch-rate zone for striped marlin, and is likewise famous for blue and black marlin, Pacific sailfish, roosterfish, tuna, dorado, and wahoo, as well as dozens of other gamefish species. Legend has it, the conquistadors buried barrels of gold and gems in the mountains overlooking “Bahia de las Palmas”. This is how the sleepy Mexican fishing village of Los Barriles (The Barrels) originally received its name.